Romania’s senior ruling party, the Social Democratic Party (PSD), headed by Liviu Dragnea, announced plans to abandon further confrontations with President Klaus Iohannis on the matter of the new ministries of development and transport. PSD said it would no longer notify the Constitutional Court about the President’s refusal to appoint the two ministers and it would also waive the adoption of an emergency ordinance setting firm deadline for the revocation and appointment of ministers by the Presidency. PSD’s candidate for the Development Ministry and deputy-PM post, Lia-Olguta Vasilescu, announced she withdrew her application. 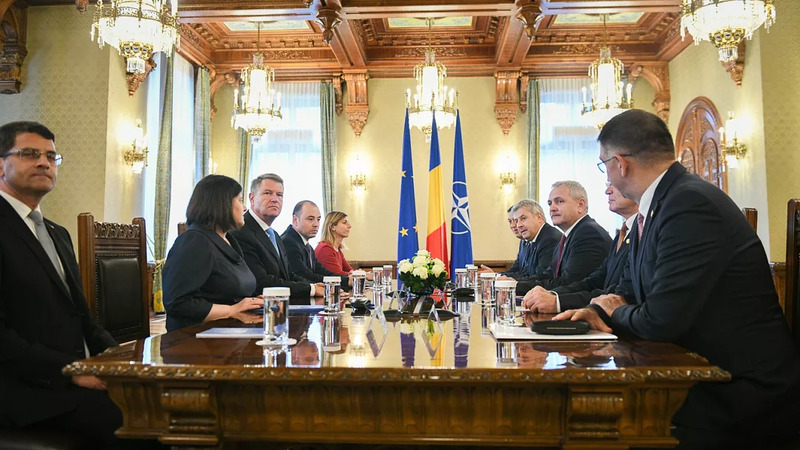 PSD officials told Hotnews.ro that a meeting of the PSD leadership will take over the weekend, in which new candidates for the Transport and Development portfolios will be decided. According to rumors quoted by Hotnews.ro, Vasilescu abandoned her plans to pursue a career within the cabinet of PM Viorica Dancila in exchange for her fiancé, MP Claudiu Manda, getting a top position on the PSD’s ticket for the European elections.